This mandala combines my appreciation of Celtic and African arts. "The center symbol is an Adrinka Symbol of Western Africa. This symbol Asase Ye Duru, represents the importance of earth in sustaining life. Often referred to as "The Mother Earth" or "The earth has weight" Combining it with the interlocking Celtic Knot work represents for me a continuum that is comforting. 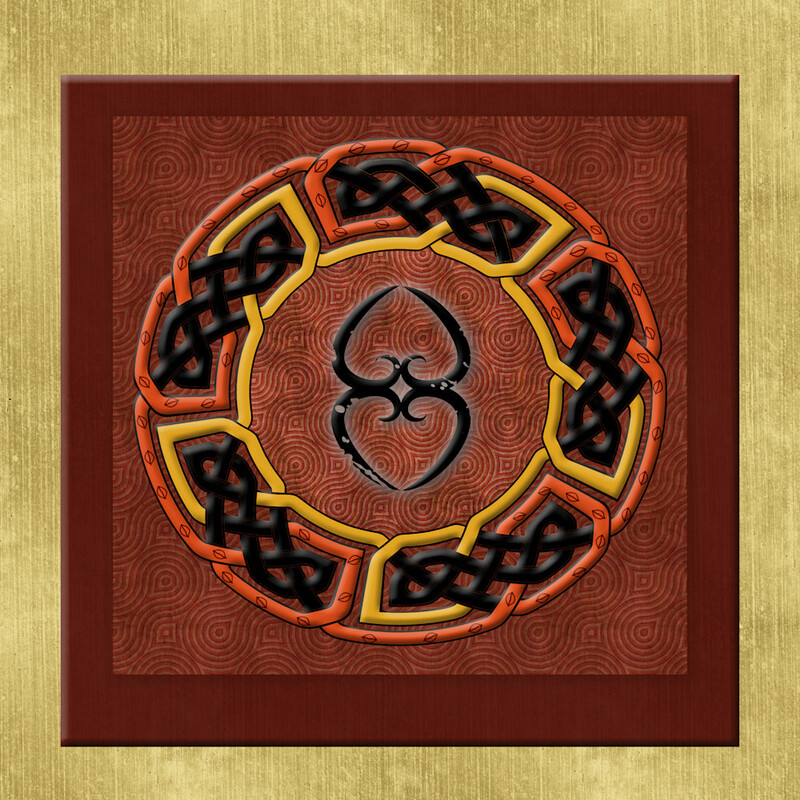 This is my personal favorite of the African Celt Mandala series. I love how it look on canvas as well as metal and as a framed art print. My work begins with something I’ve painted or drawn in my studio then scan into my computer to digitize it. This procedure allows me to combine this with photographic images that I’ve shot or I can add layers or even duplicate what I’ve scanned and redraw it or paint it in one of the programs. I love being to experiment and expand on my original art.